The Guardian Fall Protection Premium Cross Arm Strap is a reusable anchorage connector that can be used in a variety of fall protection applications. Premium Cross Arm Straps are manufactured with a reinforced webbing for superior durability and functionality compared to standard models. To use, loop over a steel support beam or other compatible anchor, and pull the small D-ring through the second, larger D-ring. 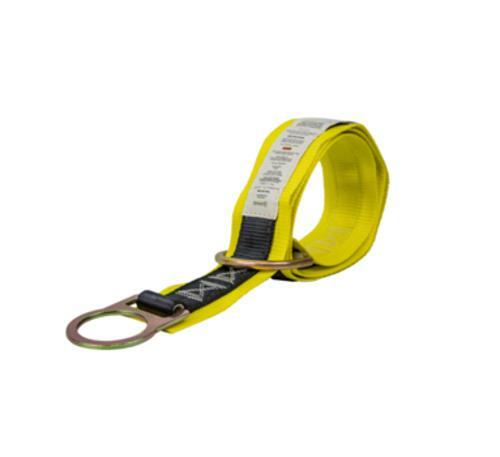 Connect to the Cross Arm Strap small D-ring with a compatible lanyard or SRL, and you are ready to work.